Everything men know about women. The fear of death is the greatest compliment we pay to life. Personally I have always looked on cricket as organized loafing. If they figure out a way to channel my anger, they could solve the energy crisis. George Bush went into a think-tank this week and almost drowned. The two most beautiful words in the English language are ” Cheque Enclosed”. When Bill Clinton was asked what he thought about foreign affairs, he replied,” I don’t know. I never had one”. The mentally retarded are treated equally in Texas—some executed, some elected to President. communicate at a superficial level with idiots all over the world. When a woman makes a fool of a man it is usually an improvement. The average girl would rather have beauty than brains because she knows that the average man can see much better than he can think. A sales conference is a gathering of people who singly do nothing and together decide that nothing can be done. Minds are like parachutes; they only function when they are open. They call him OPTICIAN: two glasses and he makes a spectacle of himself. In the Clinton administration, we worried the President would open his zipper. In the Bush administration, they worry the President will open his mouth. – James Carville. This article is from a contribution made by the author to the journal of the Delhi School of Economics, published in August 2010. But this is Obama’s second staccato-fire. His first was absolutely brilliant, when he termed the financial jack-asses ( the erstwhile over-rated over paid investment bankers of Waterfall Street ) as “shameful” for pocketing million dollar bonuses even as long-term investors went bankrupt, families got wiped out, and the world plunged in The Great Recession . And that too from the bail-out funds from government charity and tax-payers money! What a monumental repugnant act of self-aggrandisement ! It took a honest, bold and a true leader to condemn the preposterous day-light robbery by these flaky fools in pin-striped suits chewing on Cuban cigars, to set the record straight. 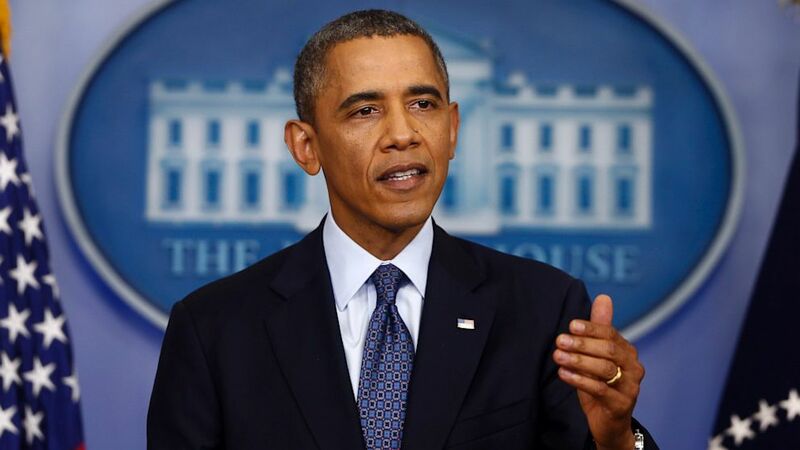 And while these thick-skinned financial racketeers are collectively protesting, Obama has gone and done the hitherto unthinkable; he has put a cap on their disproportionate salary levels, thus ensuring no subterfuge methods of compensation. Now that’s what you call a real leader; he does the right thing, fearlessly, and without blinking an eyelid. 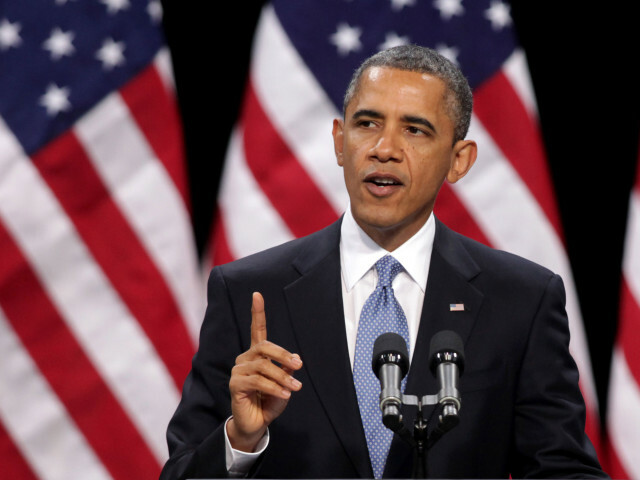 For Corporate India there some lessons to be learnt from both Obama ( I confess to having initially welcomed him with guarded circumspection and restrained enthusiasm, as I found the hype claustrophobic ) and the home-grown Ramalingam “Satyam” Raju story. Paradoxically enough, even Raju ultimately did say “I screwed up” without choosing the same colorful vocabulary but that was after he had sowed the seeds of India’s Himalayan financial catastrophe . Cut the crap! The world is short on patience and verbal jingoism, and playing silly hide and seek games in the corporate boardroom and press conferences. If you have done great work , please do shout from the roof-tops. If you haven’t, don’t sack your PR firm either ( unless you cannot afford them ) . Speak up, even if from the ground floor whose rentals are now on your piling payables. Disclose, disclose and disclose, and do so without fear. Companies have this mindless obsession for being the biggest and all that; it is a fruitless endeavour. Everyone wants to be on a LIST of sorts, and size seems the common denominator of CEO obsession. As the collapse of financial behemoths and others such as AIG , Citibank, Merrill Lynch, GM, Ford , Satyam prove, ultimately their size became their undoing. Sure enough cheap funding can create big scale, but what happens to the key task of managing those multi-product, geographically spread , cross-cultural and complex structures when they are simultaneously challenged? Even Tata Motors defaulted on paying suppliers, and we are not even shocked anymore. And despite the pink papers massaging egos of their advertisers by repeatedly showcasing them , please stop taking those Forbes billionaire lists too seriously. Focus on customers and quality; size will follow almost logically. 3. WHAT’S THE BIG DEAL ABOUT A ” QUARTER”? One of the principal reasons why many companies are floundering is because of this self-created pressures of providing Dalal Street a well-spread buffet meal every three months , a staple high calorie, deep fried meal . Companies I think are meant to exist for the long-term, and sometimes projections do go haywire, and unexpected shocks are inevitable. It’s not the end of the world if your stock price slumps because of short-term profit-bookings or cut-loss operations on account of unreasonable punter expectations. Instead, what you should look for are far-sighted investors, and your own business strategy over a sustainable period. I think CEOs over-react to stock analysts and media pressures. Instead, they should show them the door. There is the new culture in town that tells you that you must be seen in EVERY conceivable networking dinner, corporate party , a ET or BT or FT or TT bash. Dump it! In any case, you meet the same old usual suspects mumbling the same ancient incoherent crap. I am not saying business socializing is not important, it is . It is also the cheapest form of brand-building ( especially in these cost sensitive times) , but if over-done, it results in diminishing returns. Why don’t you spend that saved time in mentoring your future leaders, reading the audit report, just calling on your customers, or maybe just driving home early? Good or bad news—– your employees must know about it before that Mr Patel scratching his head at his Fort office or the journalist from those TV channels. CEOs keep repeating ad nauseam-“My employees are my biggest asset”, but actually treat them like their disposable liabilities. If you can’t take your team into confidence, good or rough news, you should quit, you do not deserve to be there; instead start by giving the pink slip to yourself in a white envelope. We have an obsession with all things alien, western, esoteric, heavy-sounding — we are constantly looking for role models to ape, concepts to implement, buzzwords to crow, fads to follow. It is time we acknowledged that while being adaptive to global ideation is being smart, we are distinctive, and perhaps need to create our own case stories , business models, best practices, and performance standards. As a company, each one can have its own defining values, work culture and management principles. The best benchmark is not your competition, but where you want to be. These days the giving away of ” Awards” is become a real joke. Essentially it is a brand-building agenda of the host, a sponsored event, which also becomes a revenue generating model, a double-edged sword. It is a farce. Satyam got the Golden Peacock ( poor bird) for corporate governance , for god’s sake? So if you are not a great place to work or truly admired, but only got the award because you filled up the forms with politically correct information before the due date expired, don’t accept it. Instead of becoming a motivational tool, it will be a long rope with which you will end up conjuring some death-defying stunts that may unfortunately succeed. Create your own standards, and reward yourself and your team. You need no external endorsement. In the final analysis, it is your openness, transparency, goodness, the whole set of work values and business ethos that will help you through difficult times. But this must start at the top, leaders must set the pace, practise what they preach and teach ( unlike Enron which had a voluminous book on ethics) , and set exacting standards of fair-play. And don’t get frightened if you made mistakes and “screwed up”, it’s human to do so. Your journey to your destination will not end. The basics usually matter the most, they are the bed-rock of endurance. Many leaders sink in a cesspool because they get “emotional” about their work-place. “Ego” worsens the situation considerably. It is a deadly toxic combo. The two drive several business barons to unknown limits to either grow, maintain or salvage their enterprise. You know, one can understand the involvement, passion, sweat and toil and tears and all that, but frankly, in the end in business you do not control the outcomes, the environment, the future. It is important to let go, take things dispassionately and not be too harsh on oneself. The world forgets. More importantly, they also forgive. Better still, we move on, with the comfort of the knowledge that one did the best one could. And forget the neighbor’s new car, you may not be aware of his repayment capabilities. Clean and maintain your own jalopy like a black stallion. There are volumes of work and strategies on crisis management, but when it comes to the crux, we are not just caught napping, we are usually comatose. Leaders of The modern Great Recession era ( 2007 – 2009 and still continuing in some places) need to be conservative in their projections, and realistic about its potentiality . Ceteris paribus is good just for micro-economics for higher secondary schools. Risk-assessment is not just to satisfy the audit committee, but to mitigate against unforeseen quirks of nature and some man-manufactured disasters of epic proportions. Essentially, we should not look too stunned when suddenly surprised. It is easier said than done ( which is why I am writing this piece) , but leadership is not everyone’s cup of tea or coffee, my dear friends. In calm waters, everyone is a good captain. When you see an iceberg, the end does not have to be ‘titanic’ . I think leaders take themselves too seriously ; they try hard to appear to be constantly engaged, value every second of their time as if the world will stop revolving when they take a loo break, and speak with the gravity reserved for making funeral speeches. Lighten up, folks, it’s all right to crack a smile, you hurt no one in the process. And with or without you, the business will thrive, everyone will come to work, and life will move on. Who knows, the customers may even rejoice, and your employees will break into a salsa ? Frankly if you are not having fun despite the house-car-club-bonus-PR-stocks deal, clearly you have a problem. Remember, he who laughs , lasts. Start by being honest to yourself; that’s a great first step. Practise saying this before a mirror every day ” I screwed up, I screwed up, I ———“. Because you will. But when you do, you will not be a chicken. You will be a leader. Last week I was taking an early morning flight to Banglaore and as we headed towards the Western Express highway after crossing the Bandra-Worli sea link , the famous mustard-colored Lilavati hospital gradually appeared in view. It felt acutely strange. The Phenomenon was there somewhere on the 11th floor apparently struggling with an unknown, but surely, a debilitating illness. I believe there have been very few visitors. At close proximity to several film studios where his appearance once created traffic jams, a commotion hard to contain. Screaming fans sporting his trademark guru-kurta, film-photographers battling the mayhem , love-struck Juliet’s ready to slash wrists and kiss his car’s bonnet, curious onlookers simply amazed at the uncontrollable hysteria. Not too far away from that famous address in town either, Aashirwaad on Carter Road, where people from all parts of the world would come to just see where the King lived, at least momentarily fooling themselves that they were merely a few hundred feet away from the greatest superstar India had ever seen. 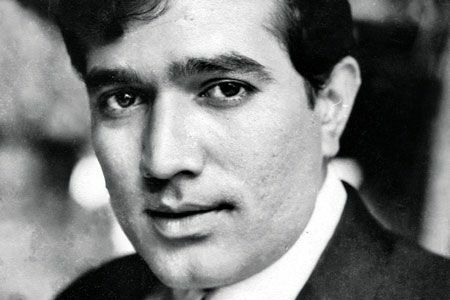 Or will ever see; Rajesh Khanna. I first saw Khanna in the ultimate romantic classic Aaradhna in the memorable scene where Sharmila Tagore throws a bucket of cold water on him inadvertently . The audience went completely berserk. It was to happen again in Andaz when he appeared suddenly on a Royal Enfield ( Zindagi Ek Safar Hai Suhana) with a scarf circumventing his neck, black goggles perched tantalizingly on his nose bridge as Hema Malini hung precariously as a pillion. It was to be seen to be believed. And when he sang Vaada tera Vaada in Dushman, a rogue truck-driver with a golden heart, a still poor India threw coins right on the aisle and danced alongside. Unparalleled , unprecedented, unmatched since. To understand Khanna’s maniacal craze , one needed to be have been born in the sixties. What you see today is a mere rewind into shredded fading memories . 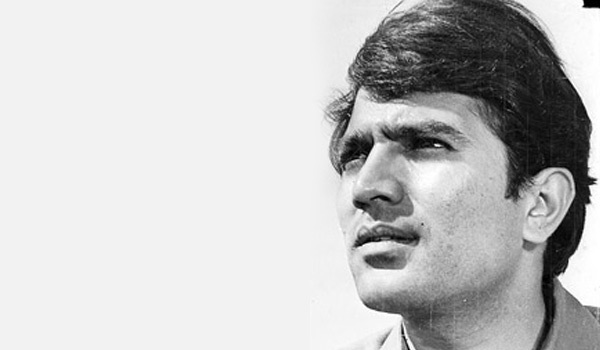 The golden phase of Khanna’s career included sensational hits that came in breakneck speed and rapid succession; Do Raaste, Ittefaq, Bandhan, Kati Patang, Anand, Safar, Amar Prem, Roti and Sachcha Jhoota. It was intoxicating stuff, could drive the sanest cuckoo . Khanna was but human. Worse, hugely egotistical, a toxic combination. A string of eminently forgettable films which turned out to be box-office turkeys abruptly halted that serendipitous honeymoon in the zenith. Khanna made dying into an art form, and audiences wept inconsolably in deep throbs in Safar, Namak Haram and Aaradhna. His haunting Babu Moshai in Anand’s final scene can give you the goose-bumps even today . But it was with Haathi Mere Saathi that Khanna captured those susceptible cuddly hearts , the entire young brat population as well . He was the fountainhead of family entertainment , with the sobbing -sentimental women and the young romantics queuing up for the first day first show. The Phenomenon was unassailable, invulnerable, insuperable. Only he could destroy the hard-earned kingdom. He did. Namak Haraam in 1973 became the turning point in Khanna’s career, as it did for Amitabh Bachchan, his real nemesis whom he had once contemptuously dismissed . Hrishikesh Mukherjee’s film based on inter-class conflict between the license-raj industrialist’s wayward son and his labor-leader lower middle-class best friend was an epic drama. But the author-backed role of a sulking, emotional fireball suited Bachchan. Khanna’s mild-mannered , mature, mollifying character though brilliantly underplayed got murdered, like Shashi Kapoor’s in Deewar. The superstar’s reign had begun raining off as Bachchan became his direct adversary, who chose films with greater circumspection. Fortuitous circumstances favored the lanky Bachchan too , albeit immensely talented. One of them was the 1975 declaration of Emergency , which created an inimical, imperceptible anti-establishment mood. The aura of soft, charming romanticism gave way to violent, unrestrained tumult. The Angry Young Man was born, intemperate, resolute, a muscular one man demolition squad. Bachchan’s unusual towering height, impeccable baritone and long side-locks helped. Concomitantly, Khanna chose pedestrian, egregiously bad films like Maalik, Hamshakal, Shehzada, Aaina , Maha Chor , Chalta Purza , Raja Rani etc. Khanna’s abrupt marriage to teenager Dimple Kapadia looked like a trite script from a tyro film-maker; including melodramatically taking his old steady girl-friend Anju Mahendroo on a false trail to Khandala. Frankly, a starry-eyed Kapadia and a haloed superstar with quicksilver mood swings made odd bedfellows; the marriage, of course, created massive publicity deserving of heavenly misfits. The acrimonious break-up, and their respective high-profile rendezvous and dalliances with co-stars made equal mast-head copy. Khanna’s predicament was that a dissipating professional career was accentuated by a controversial private life ; he stumbled and fell. Bachchan lorded Bollywood becoming famously a “ one-man industry”, Khanna had became a peripheral innocuous threat despite a late desperate surge with Souten, Fifty Fifty , Chhaila Babu and Avtaar. Jitendra, Rishi Kapoor and a resurrected Dharmendra and the like had also surreptitiously nibbled away at Khanna’s core audience. 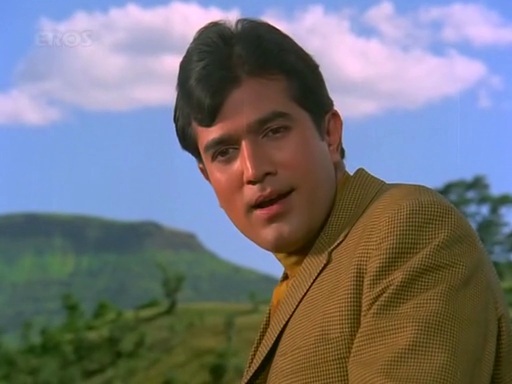 That era also coincided with a sudden spurt of multi-starrers which saw the re-emergence of mediocre heroes, but which Khanna’s ego studiously, strictly forbade. His later choices in the same genre were terribly abysmal. Superheroes don’t need deadly villains to decimate them, they are perhaps self-destructive. When the erstwhile The Phenomenon entered electoral politics in 1991 , it signaled his grudging acceptance of his fragility in tinsel-town. Here too fate dealt Khanna a lethal blow; he almost blew LK Advani off in New Delhi constituency finally losing by 1000 odd miserly votes, although comeuppance happened in 1992 when he trounced Shatrughan Sinha. But by 1996 the Congress had become extremely wobbly, and he seemed caught in a dilemma between occasional character roles and New Delhi. He floundered once again. This time more fatally as he misread the changing entertainment space and political dynamics. What you see in the Havell’s ad is a nebulous apparition of a superstar that never can be replicated in a digital download, multi-screen multiplex age where a golden jubilee is an anachronism. There is no endurance anymore beyond two-weeks even if its Rs 100 crores. But Rajesh Khanna’s transitory madness has endured. He must endure even now. After all, “ Zindagi Ka Safar Hai Ye Kaisa Safar, Koi Samjha Nahin Koi Jana Nahin” still needs to be told in his own words. His tale is incomplete. To have seen such preternatural heights of exhilarating fame and then to experience such impenetrable oblivion requires some inner toughness. The pain of loss, the deep inner turmoil can be devastating. Anonymity can be dreadful for someone accustomed to being serenaded wherever, whenever. Especially when your contemporaries reveled in the new electronic age. But more later. Right now it is important that Rajesh Khanna leaves the hospital in a happier, healthier state. Get home soon , Sir ! I want to stand outside Aashirwaad once again as I did as a school-kid and be mesmerized , like when I came to Mumbai for the first time. And I know I am not the only one wishing to do the same ! I had just entered my teenage years when I discovered the power of the idiot box. As we sat huddled before the eye-popping technology in a rectangular shape , my first memories are those of hearing a deep baritone voice, intellectually refined , possessing extraordinary depth and talking esoteric stuff. I did not understand much, but was hugely impressed by the missionary man. It was Verghese Kurien. When I last heard the Gujarat Chief Minister Narendra Modi’s government was working over-time to ensure that Kurien was forthwith denied some luxurious privileges; a cook, his car and a security guard. Modi’s government, frequently lauded as a development model by cosmetic analysts , gullible scribes and super-sized CEOs , is obviously looking at cost-cutting in times of difficult financial crunch, I guess. Perhaps that explains the charitable excesses of lollipops sops and tax-breaks being provided to industrial houses , who therefore hail Modi as a bearded messiah, the accessible magical alchemist. Kurien, is in no Fortune Top 10 billionaire list like Ambani bro’s and matching Mittal’s. He does not own colourful cricketers and hold yacht-parties even as his companies sink in deep waters. Neither is he giving tall spiel on corporate governance in a US business school. And neither has he written management potboilers on the emerging shape of the world. He is just simply greater; much bigger than all of them put together. 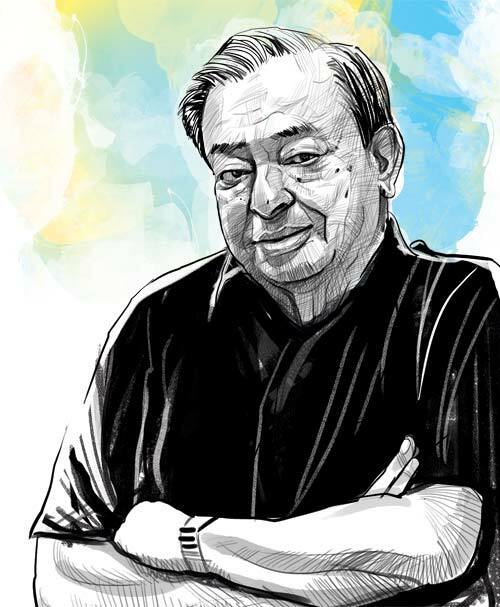 My father, an old-fashioned economist and a devout champion of the co-operative movement , once told me, “ Verghese Kurien is one of India’s greatest freedom-fighters who never went to jail”. Once again, I was flummoxed. I could never fathom why these profound characters always spoke in such obfuscating language. But I solved the ambiguous puzzle soon enough. Kurien, a Michigan university graduate in mechanical engineering, had single-handedly transformed rural Gujarat through creating local co-operatives in dairy farming, thereby ushering in what became famous as India’s “ white revolution”. And had successfully outsmarted well-entrenched transnational companies. In the corporate world today, CEOs and management gurus talk of profit-sharing and employee empowerment. Kurien , in then Third World India considered third-class by a supercilious western world, created a cooperative infrastructure that changed lives of whole villages and poor farmers , creating prosperity, ensuring fair remuneration, enriching communities and making a remarkable distribution structure that redefined the model of India’s rural development. And soon enough, a brand called Amul was born. It’s market valuation ( if possible) would exceed that of Citibank for sure. India is today the largest milk producer in the world, and Operation Flood was named such, because Kurien made a household necessity available across the vast country-side. He humbled the mighty multinational Nestle, and Polson butter disappeared back to it’s Occidental shores. The Indian buffalo had out-performed the Swiss cow. And through a cooperative framework that performed to exceptional detailing, he altered India’s rural landscape. The world came calling. Padma Shri, Padma Bhushan, Padma Vibhushan, Ramon Magsaysay and several international recognition followed. But Kurien stayed put in his little shy hamlet of Anand in Mehsana district even as Amul became the butter of the nation. But then dramatically in 2006 they unceremoniously dumped him from the same homes from where he created , what I believe, is India’s first multinational ( sorry, Tatas), the best distribution system ( apologies, ITC) and a revolutionary breakthrough in community welfare and employee engagement ( no offense, the tax-shelter seeking IT firms). Some say he is terribly arrogant, and a demanding leader. The truth is that he is an exceptional genius, and the least concession that we can give him is his high exacting standards; that is not arrogance, it is just fundamental expectations of a superlative dreamer , but ordinary mortals will not understand that. Neither will Narendra Modi. The dodgy Indian media has conveniently forgotten Verghese Kurien. There is more precious ROI in featuring new-age business commanders serenading Modi. It makes for higher TRPs and newsprint spend-value. I have seen no real protest, no genuine remonstrance , not even a tiny editorial against the shoddy humiliation of the greatest technocrat India has ever produced. I met Kurien much later ten years ago in his humble home in Anand . The supposedly arrogant man helped us to a chair, shared his old stories, and finally saw us off at the door. I consider those few moments chatting with him, an inspiring revelation. And when I told him how awe-struck I was when I first heard him on my Cinevista TV set, he laughed, and said—Thank You! I see what we Indians are doing to him today, and feel ashamed as an Indian. Verghese Kurien will be 88 years old this year on 26th November 2009.